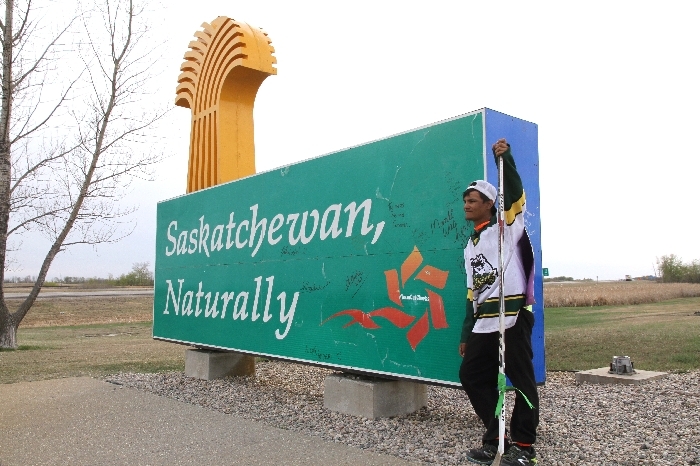 Rance Cardinal, who is walking from northwest Ontario to Humboldt to show support for the Humboldt Broncos, started walking from the Saskatchewan border this morning and will be in Moosomin around 2 pm this afternoon. Anyone who wants to meet Rance can meet at the Borderland Co-op C-Store on the Trans-Canada Highway. The arrival time is approximate -- we will update it as Rance approaches Moosomin. 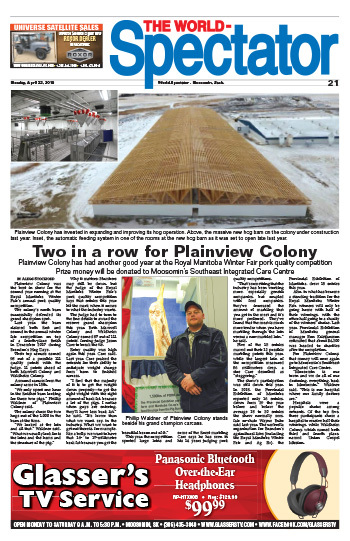 After he reaches Moosomin, Rance will suspend his walk for a bit -- he is heading into Regina after he hits Moosomin to take part in the Pat Canadians benefit game for the Humboldt Broncos taking place in Regina tonight.